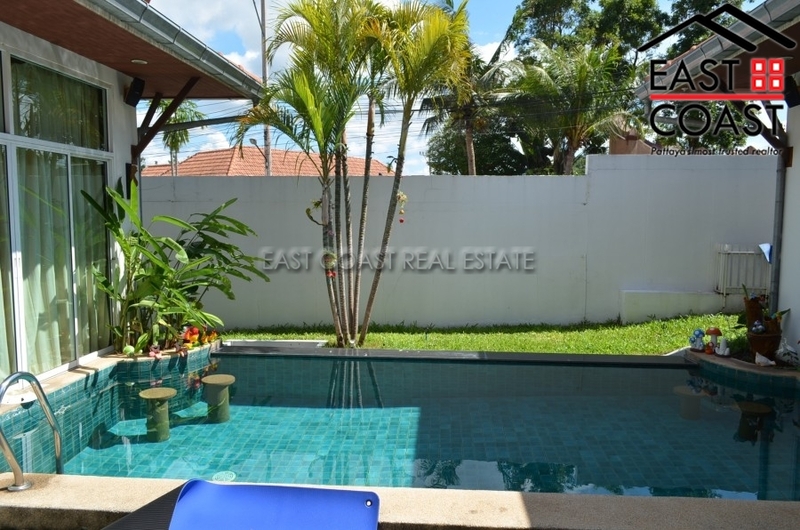 This modern style bungalow is located on Boss Village off the popular Soi Siam Country Club Road. The property is offered unfurnished and provides the new owner with a blank canvas to finish the property to their particular taste. The property benefits from covered parking and as small garden; with access to a communal pool in the village. The title deed is offered in Thai name. 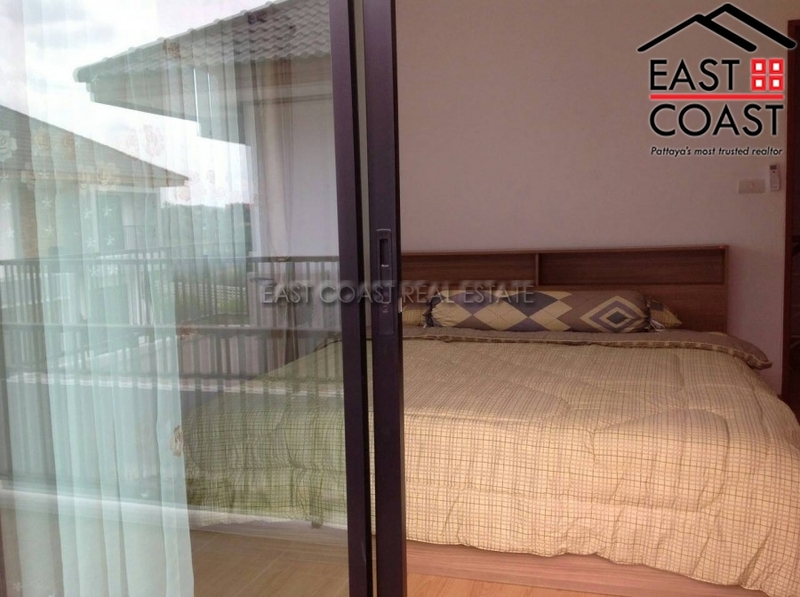 We are favoured to offer this modern partially furnished property located on Boss Village, Siam Country Club Road. 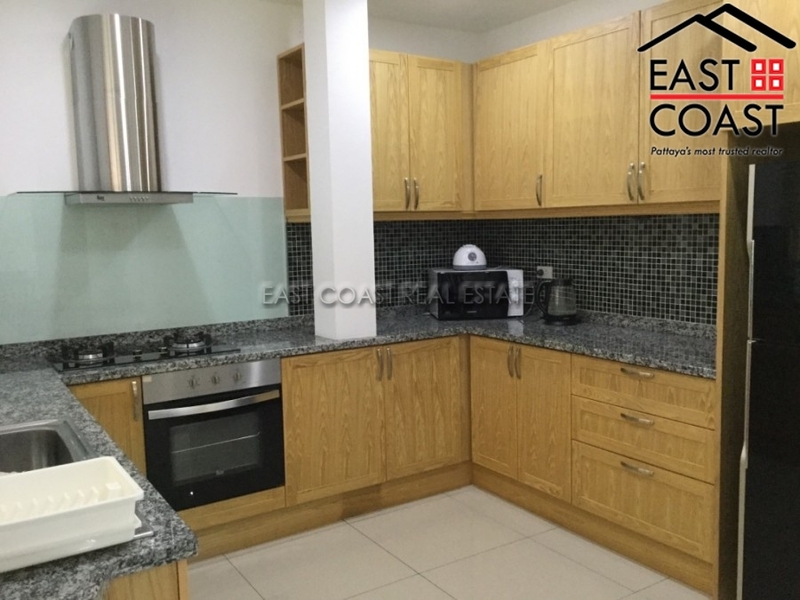 The property consists of three bedrooms and 2 bathrooms with an open plan living area and a European kitchen to the rear of the property. The property benefits from covered parking and a small garden ; and the village benefits from a communal pool. The title deed for the property is in Thai Name. Fantastic Private Pool House with 3 Bedrooms and 2 Bathrooms which has been stylishly refurbished and furnished by the owner and is ready to move straight in. 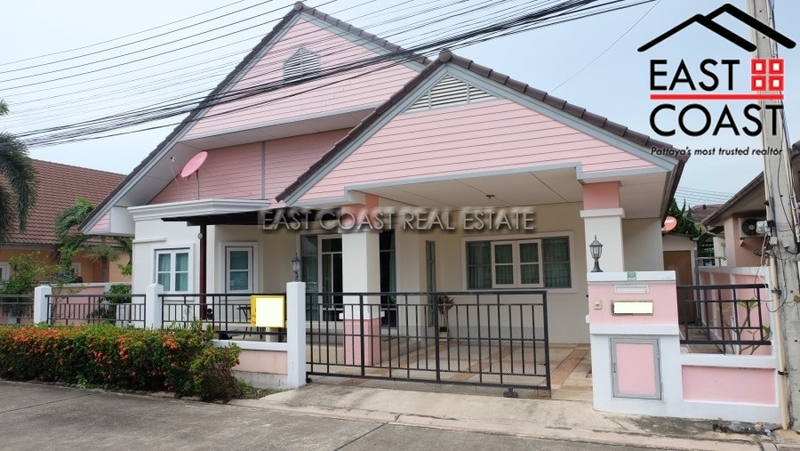 It is a quiet residential village located in the East Side of Pattaya close to International Schools and Soi Siam Country Road with local markets, shops, international restaurants by walking distance within few minutes. There is a security remote gate to entrance to the residential area. 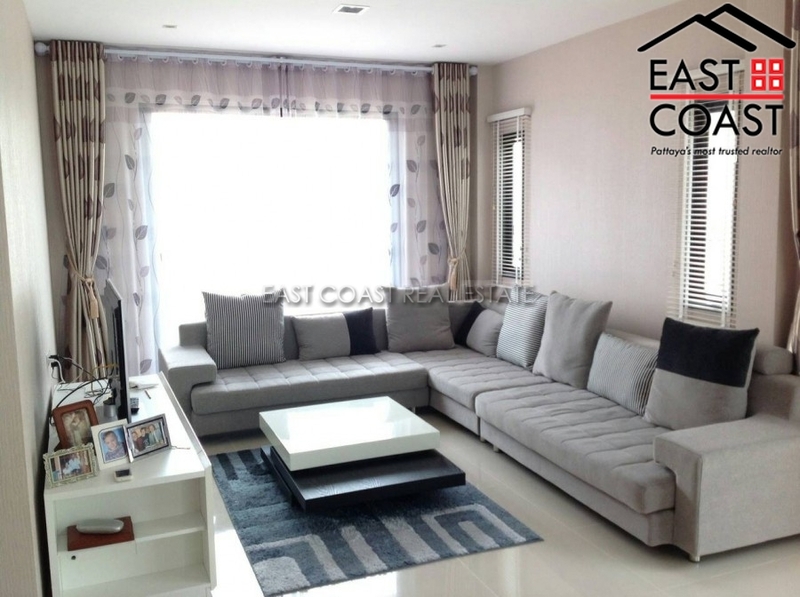 This house is tastefully decorated in a modern style with spacious lounge with open plan and dining area. European style kitchen with good size kitchen counter top. Very clean and give you the feeling of cozy home. 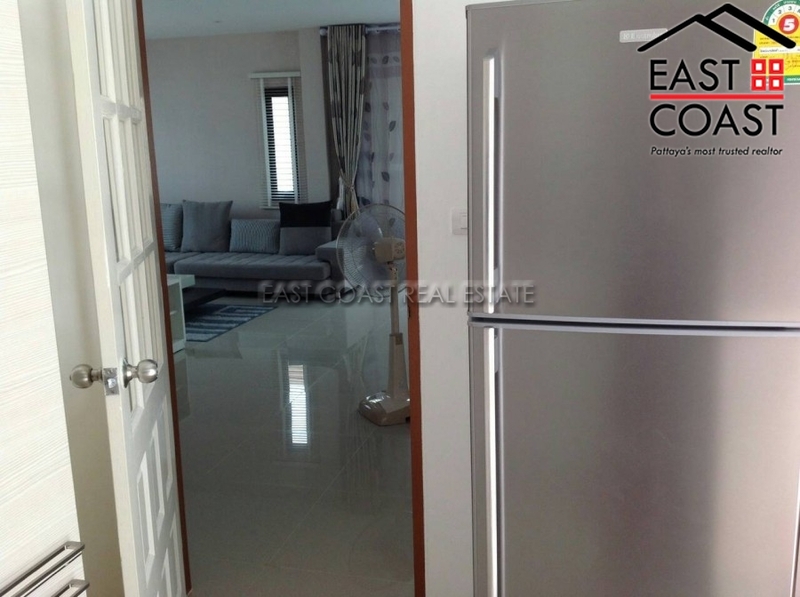 The house sale with fully furnished and air-conditioning in every room. The house has a beautiful pool and garden area with patio, perfectly designed for relaxing away the stresses of the day. The title deed held in Thai name with tax and transfer fee to be split 50/50 on both parties. Uraiwan Park View. This village is located in East Pattaya - Soi Siam Country Club. 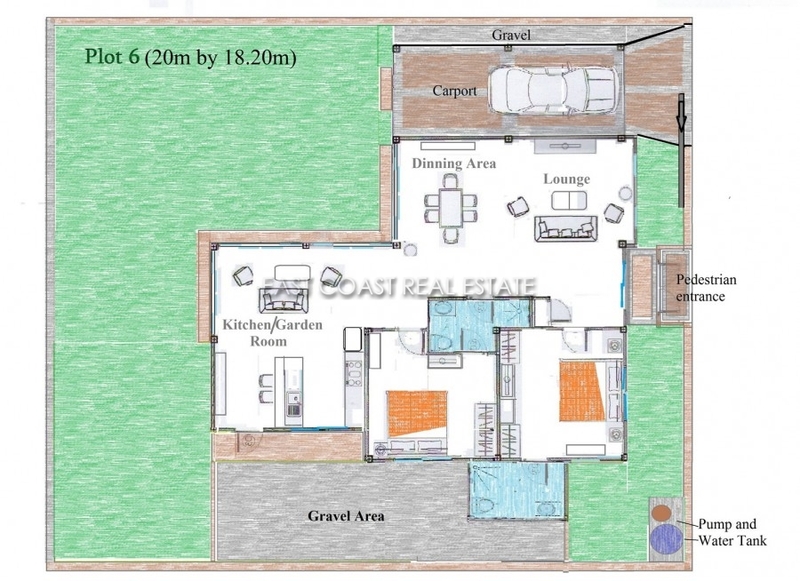 It has 3 bedrooms 3 bathrooms with two storey house. 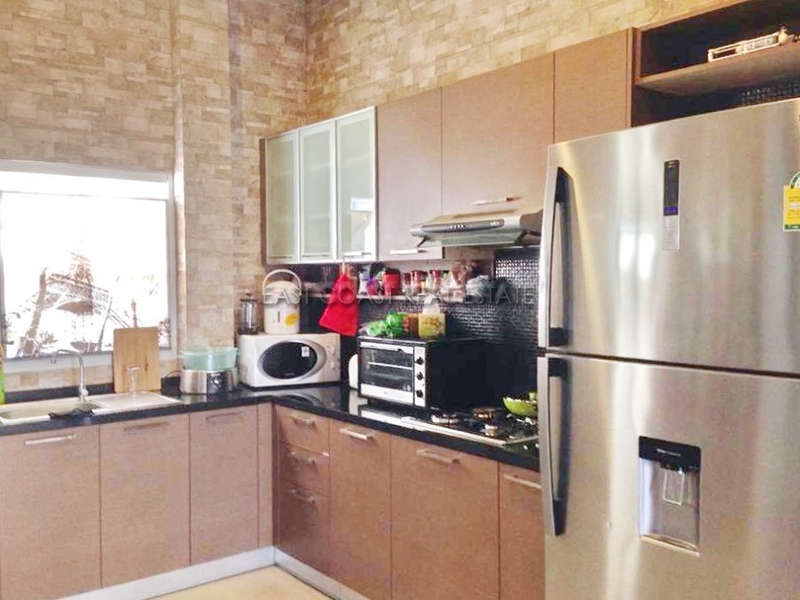 Offering built-in European Kitchen, Dining/ living areas and huge balcony covered parking and it comes fully furnished. Facilities; communal swimming pool, 24 hour security. Great location for a home, only a short drive into the city centre, highways and all the local attractions. Available for SALE in Thai ownership (transfer fee & taxes are split 50/50) and for RENT minimum 1 year contract with 2 month holding deposit. Lalique Residences. 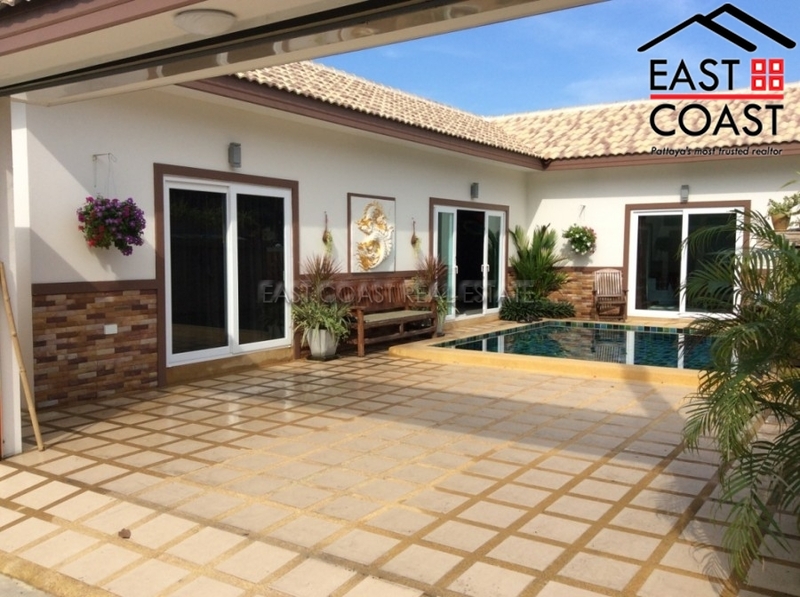 This lovely family home is located in Huay Yai village, approximately 15 minutes from town, in a beautiful part of the countryside. 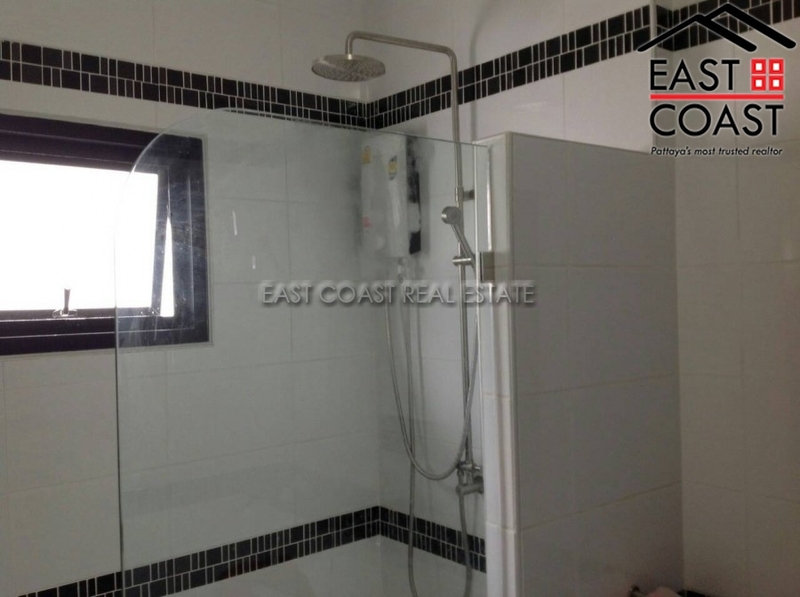 For any Ex-Pat getting in and out, to International schools or the Industrial areas of the Eastern Seaboard will find this location makes things very easy, as it is supported by all major highway routes around the area. In and around the area are local shops, markets, and convenience stores, and to get into Jomtien or Pattaya would take a 10 minute drive. 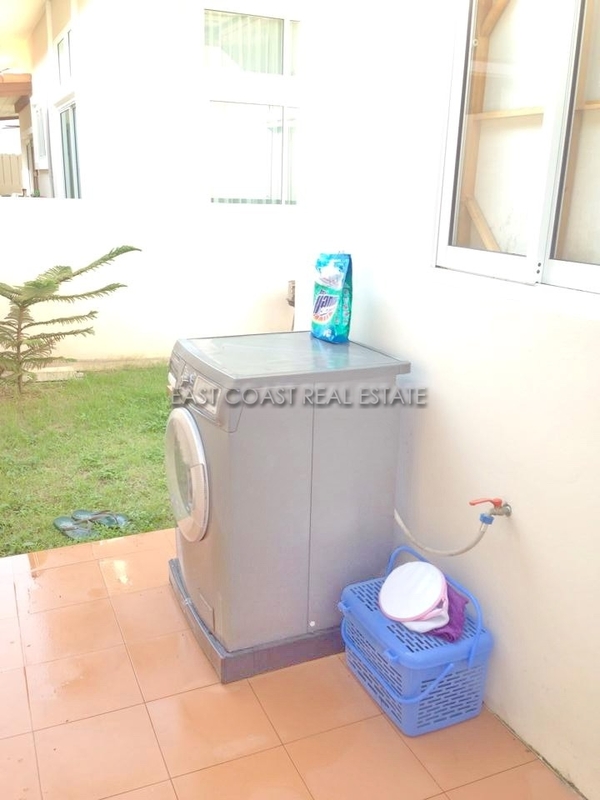 This two bedroom villa is sited on a 96 Wah² (384m²) plot of land. The home offers spacious open plan living, dining area with views out towards the garden. Both bedrooms are well sized, with the master having it's own en-suite bathroom. 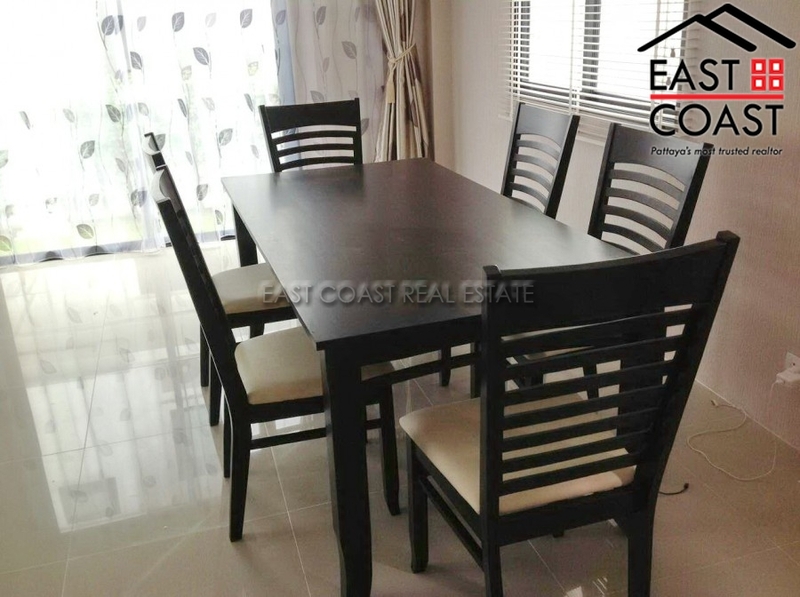 It is sold fully furnished and has connection points plus outlets ready for a kitchen to be fitted out. There is a private carport and ample of garden area where one can install a private pool or Jaccuzzi. Title deed held under Thai name with transfer fees split equally between both parties. 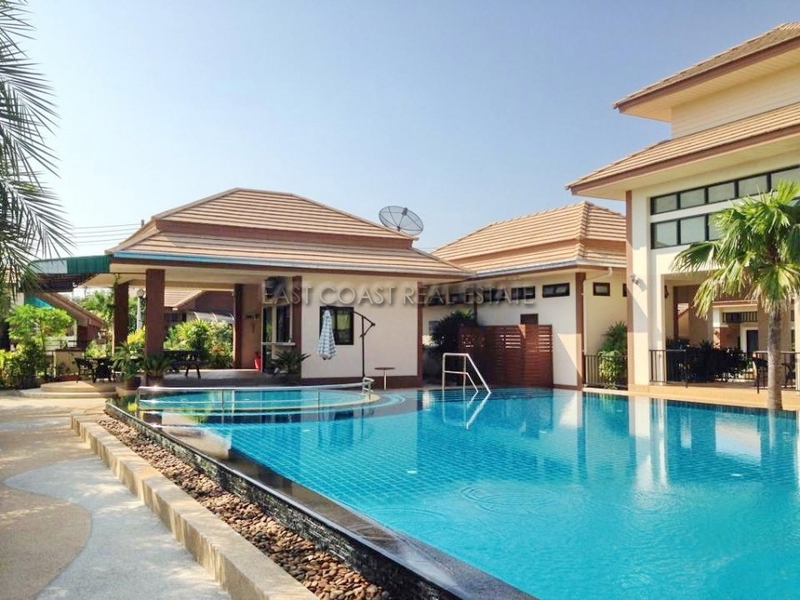 Central Park 5 is a nice villa development in a quiet area of East Pattaya, which has very easy access both Jomtien beach, Pattaya city within just 10 minutes. This property is a 2 storey house with a large landscaped garden, and feature pond with water fall. Inside there are 3 bedrooms, and 3 bathrooms, plus 1 maid room. 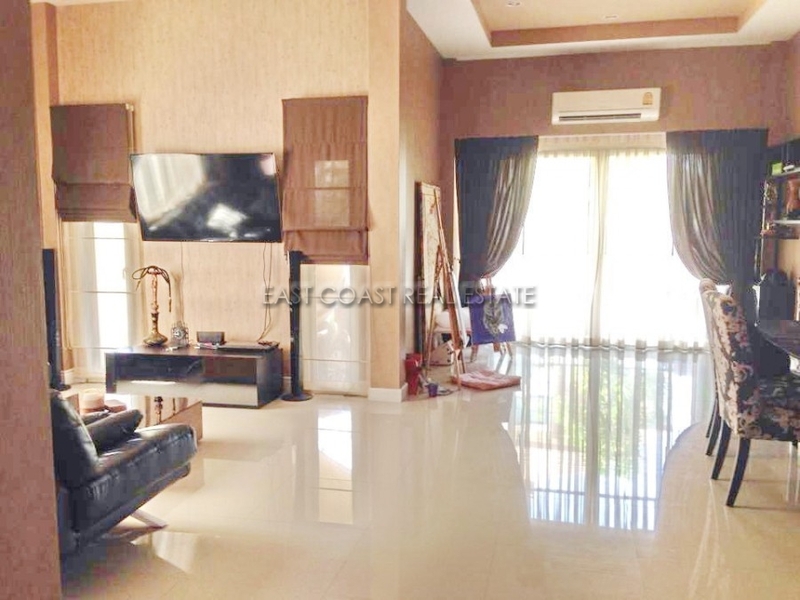 It has a nice fitted Western kitchen by EuroDesign, large open plan living room, and there is an internal balcony on the first floor with a family living area. The master bedroom has a vaulted ceilng and outdoor balcony. There is an outdoor covered kitchen and laundry area.The house is offered for sale partial furnished, at a very reasonable price. The village has nice landscaped roads throughout, 24 hour security guards, a children’s play park, club house, and huge communal swimming pool. 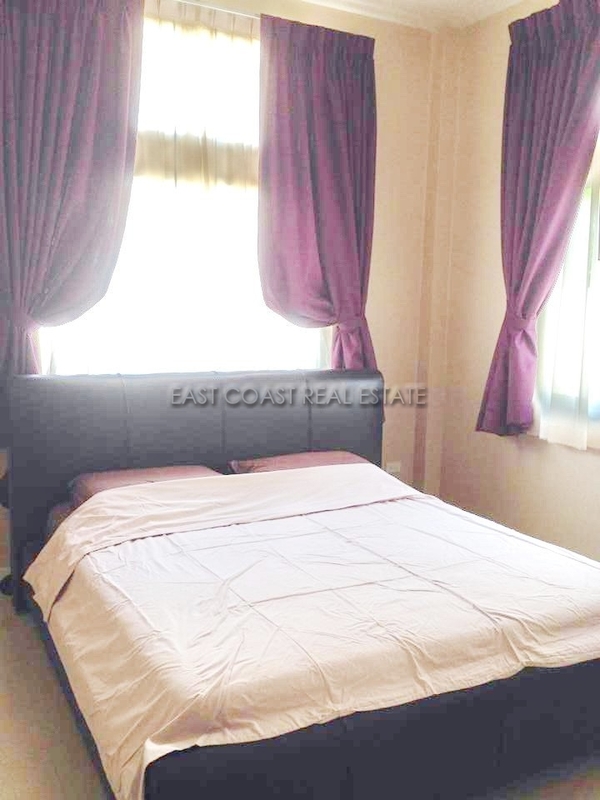 Amenities right on the doorstep include a nearby fresh, daily, local market, a Tesco-Lotus Express, and seven-eleven, The title deed is held in a Thai name, with any transfer fees split 50/50. Royal View Village. LAST 3 HOUSES LEFT. FROM 2,700,000 Baht. 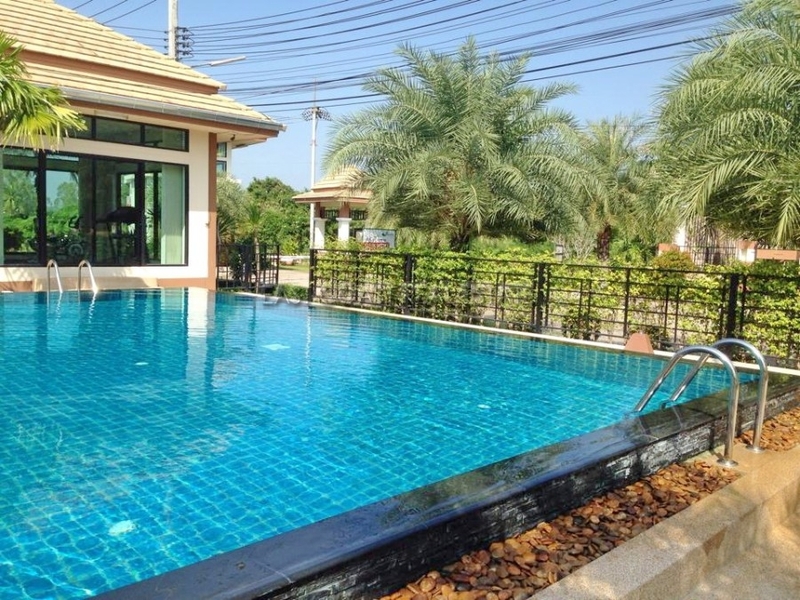 Located on Soi Chaiyapruk 2 just 2 km from the Sukhumvit road, and minutes from Jomtien beach and the city, in a quiet communal village setting with 24 hour security. There are just 3 plots remaining in this village, so be quick to secure. 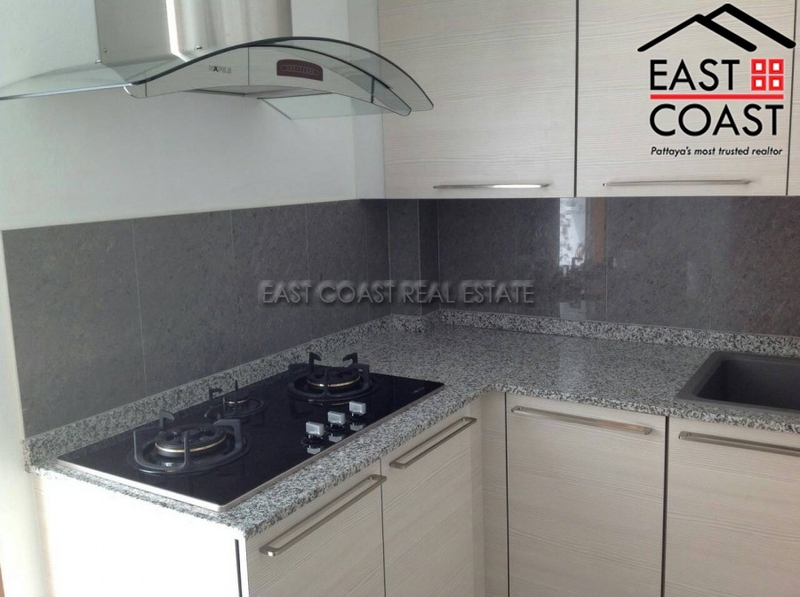 2 bedrooms, 2 bathroom, 50 sqw (200 sqm). 2,700,000 Baht. THE HOUSE WILL BE BUILT TO ORDER. 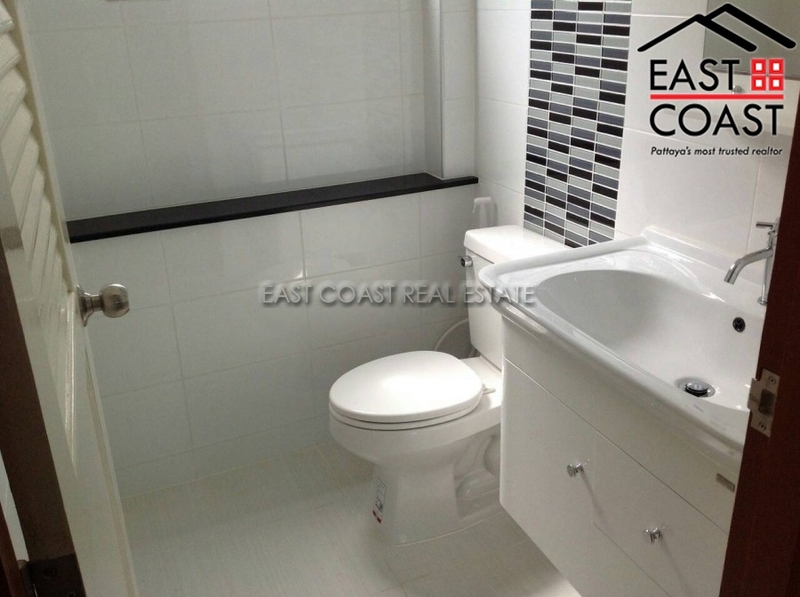 3 bedroom, 3 bathroom, 76sqw (304 sqm). The house is complete and ready to move in. 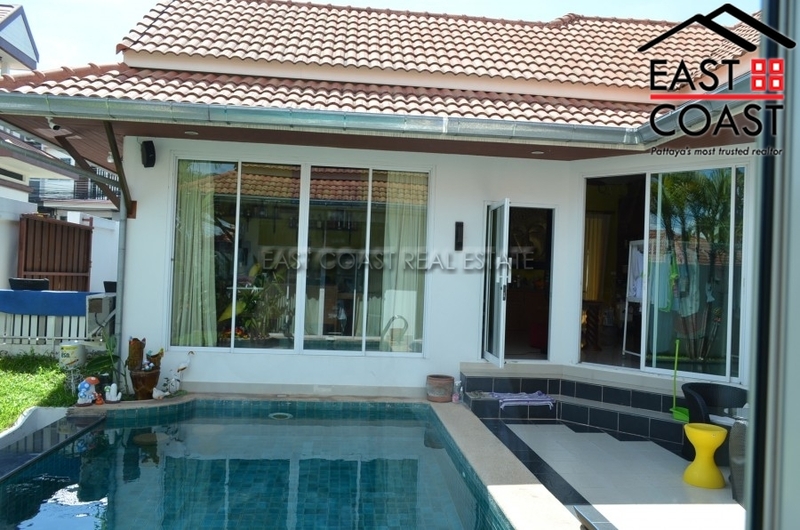 3,850,000 Baht 4 bedroom, 3 bathroom, 86sqw (344 sqm). 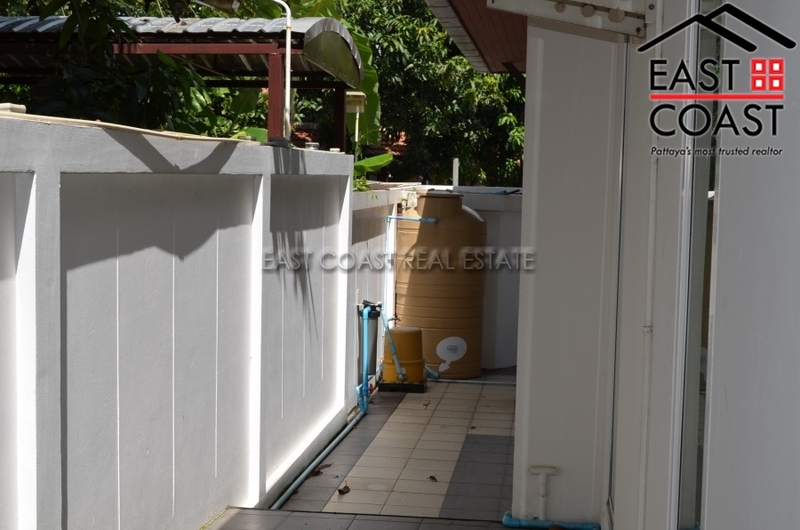 A 2 storey house, with swimming pool shared only with 10 properties. The house is already built, ready to move in. 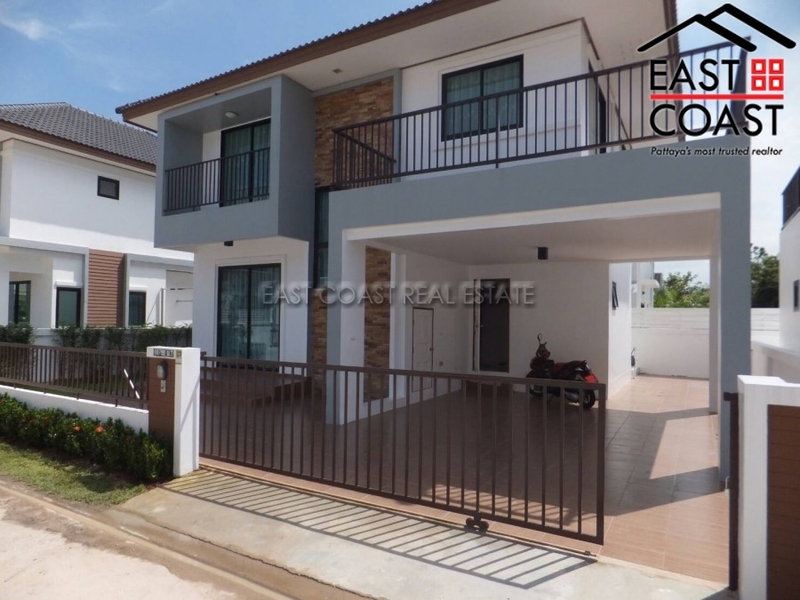 Just 6,500,000 Baht All houses are sold unfurnished All taxes and transfer fees will be split equally 50/50 with the developer. This corner 3 bedroom villa is for sale in a good gated community, it is 75 sq.wah plot and there is 3 bedrooms, and 2 bathrooms. 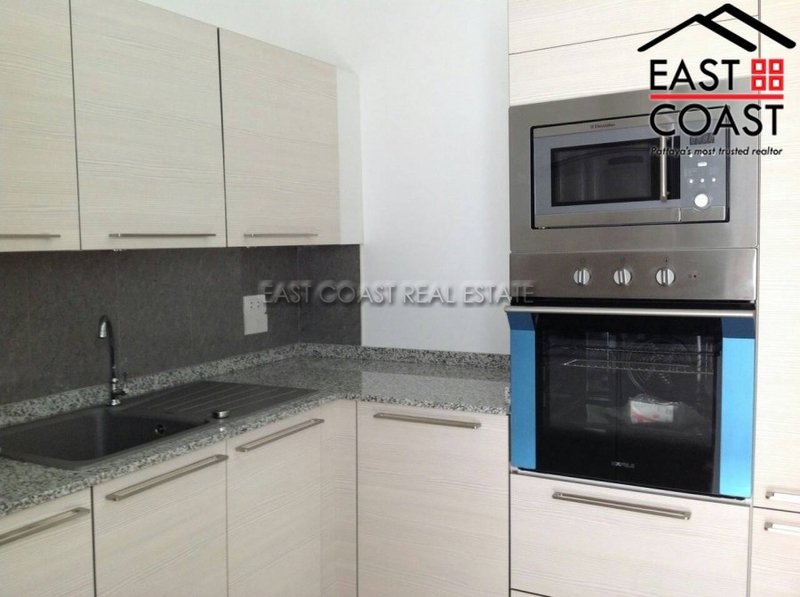 It comes with built-in European kitchen, massive living and dining areas. 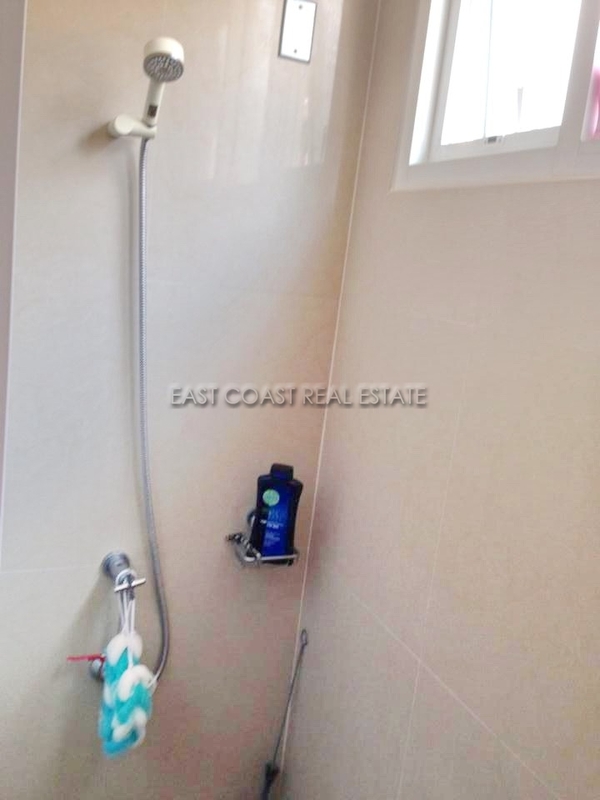 Good sized master en-suite bedroom, bathroom provides bathtub. Plus other good sized of 2 bedrooms with shared bathroom (hot water shower) There is a back terrace to set up Thai kitchen & utility zone. Outdoor living terrace by private tropical gardens. Covered 2 parking spaces. The village provides good facilities i.e. 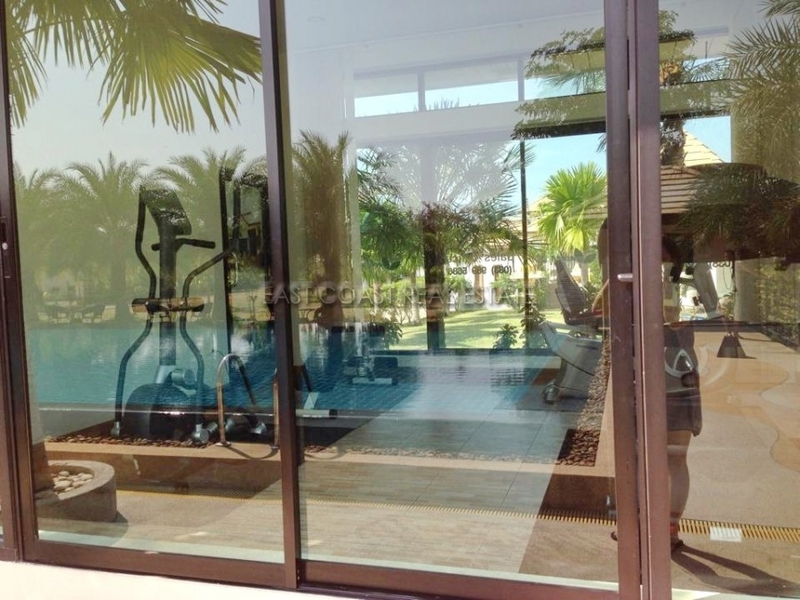 24hr gated security, communal swimming pool and park, kid’s playground, village office. Ruen Pisa Village. 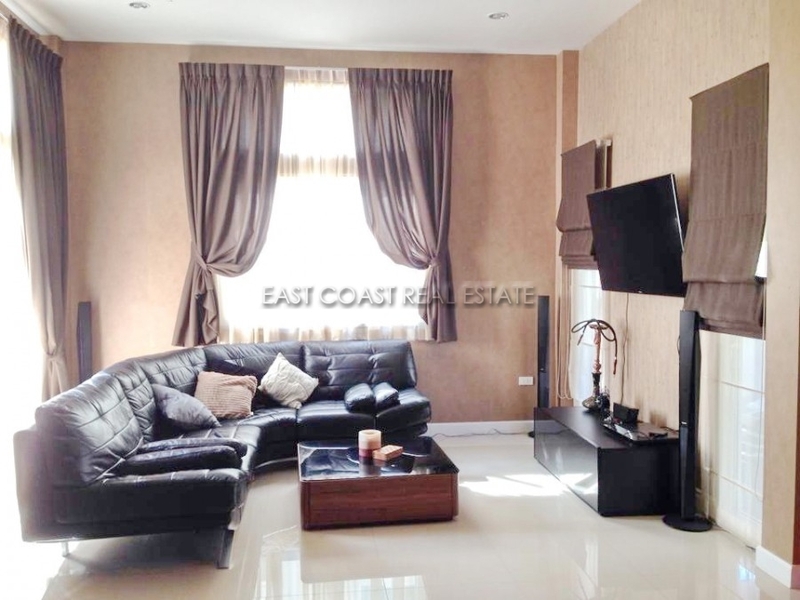 A popular family village in a well-equipped secure compound, just to the North East of the City. From here you have convenient access to the Sukhumvit highway, plus very close to the new Motorway bypass, golf courses and schools. Available for SALE “Partially Furnished” under Thai ownership. Transfer & tax fee at Land Office are split 50/50 between the seller and the buyer. Baan Suay Mai Ngam. 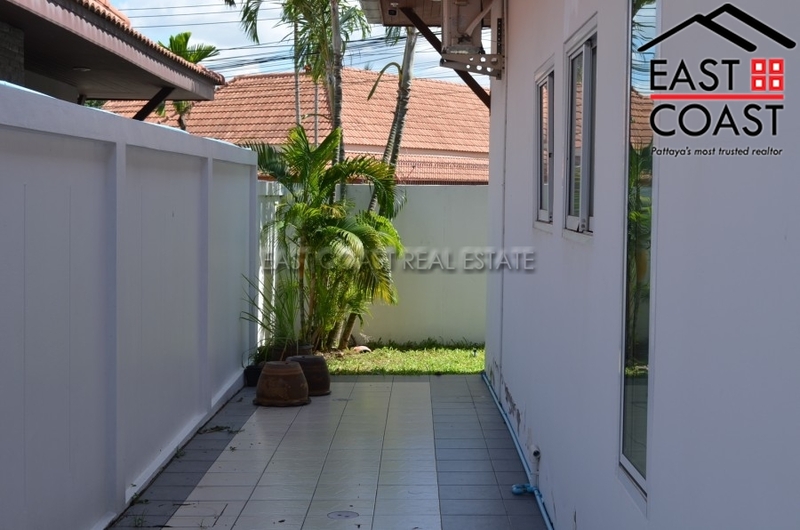 This 2 bedroom, 2 bathroom house is located in a quiet village with great access to both Sukhumvit Road and the highways to Bangkok and Rayong. It’s also just 150 meters from an area of outstanding natural beauty in the form of a Fishing lake and nature reserve literally right on the doorstep. This house comes fully furnished and with a European kitchen and the bonus of a private swimming pool. In total the house spreads over 100sq.m of living space and has off street parking. 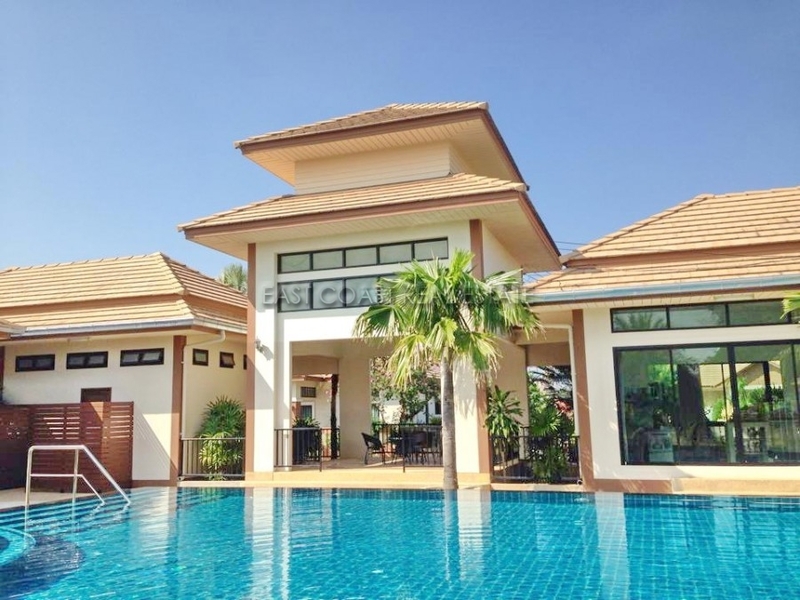 It is only 10 minutes’ drive to Jomtien Beach and Central Pattaya, and only located only 5-10 minutes to Makro, Tesco Lotus and Big C. There are mini marts, 7-Elevens and Tesco Express just a few hundred metres away. For long term rental only. Freeway Villas. 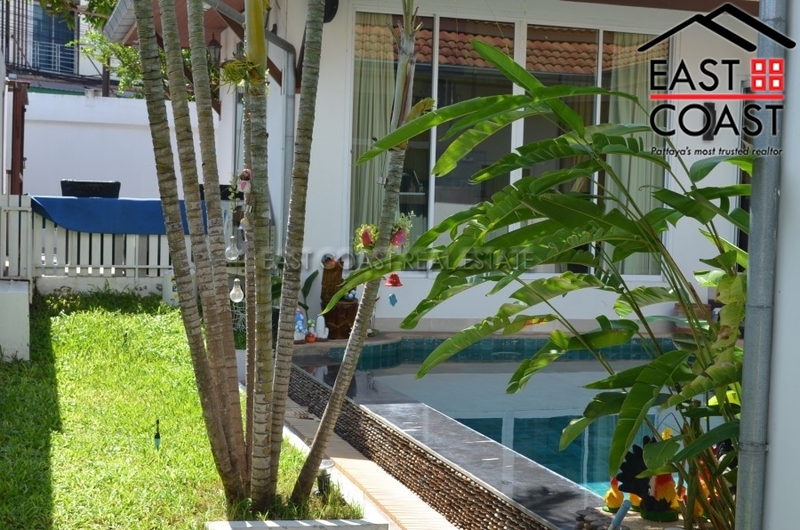 This 2 bedroom / 2 bathroom fully furnished villa with private pool located on a quiet residential village just off Mabprachan Lake. The villa features a built in European Kitchen with appliances, full air conditioning and built in wardrobes. Available on a minimum 1 year rental contract. 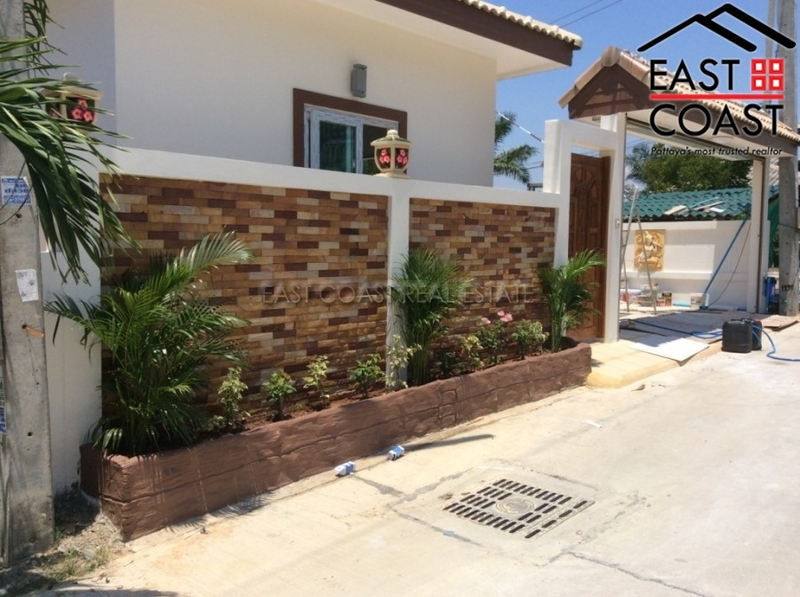 Oasis Park - This private bungalow is located in the quiet some part of area at Pong Sub-District, just 1 minute drive to Route No.36 every easy access to Motorway 7 to Pattaya or Bangkok. 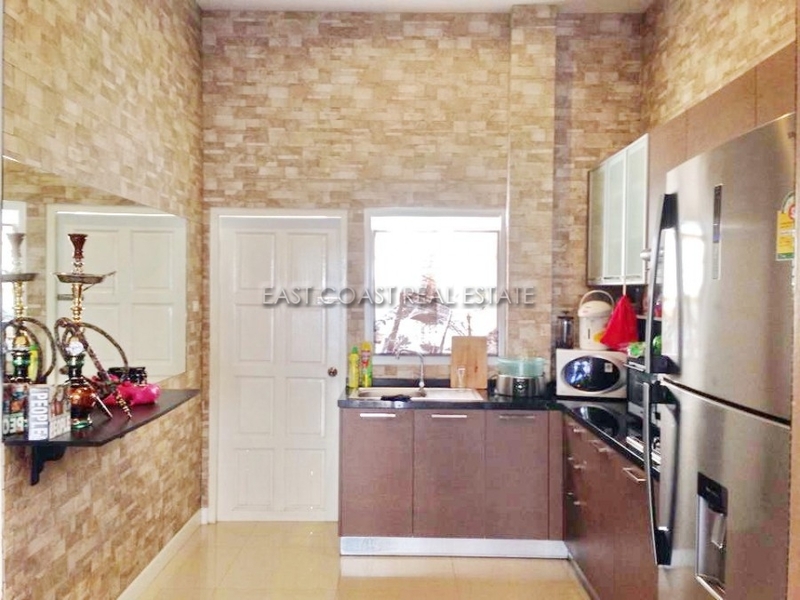 It is situated in a quiet surrounding and just a few minutes to local market, shops, Lotus Express, gas station or international school. It is on a 125 sq. wah (500 sq. m) plot of land the house. There is a big space for swimming pool in front of the property. This villa consists of two bedrooms, two bathrooms, big living area combine dining area and European Kitchen with electrical appliances. 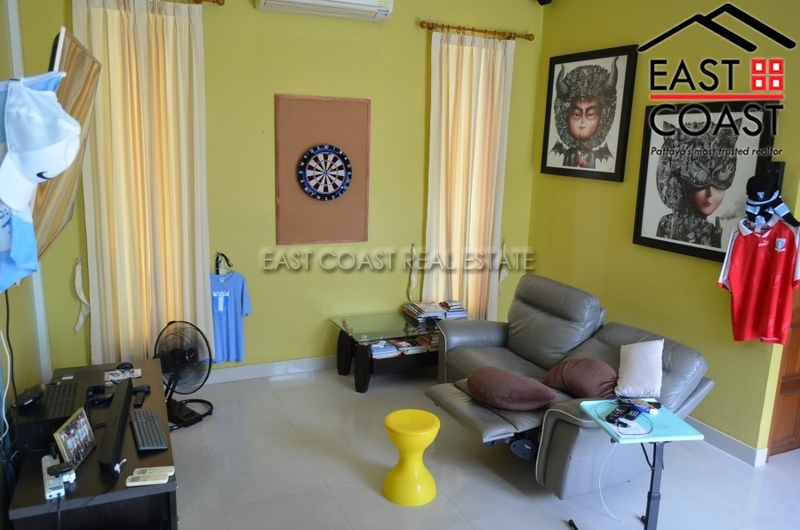 The house is available for sale furnished fully air conditioning in the living room and other 2 bedrooms.The property also has very good function designed, comfortable for holiday living, has small garden which is easy to take care. Sale : Title deed is held under Thai name ownership and transfer fees to be split 50/50 between both parties. Rent : Minimum 6 months contract. Ruen Pisa Village. 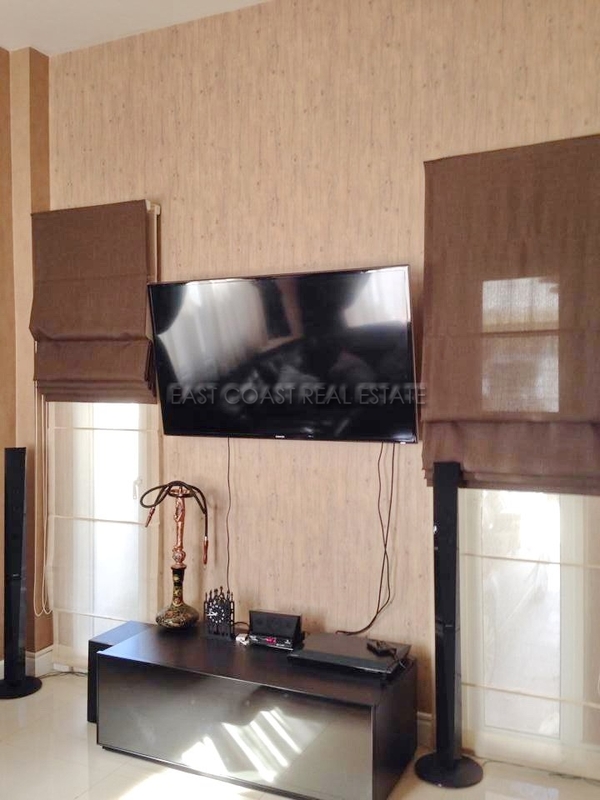 A popular family village in a well-equipped secure compound, just to the North East of the City. From here you have convenient access to the Sukhumvit highway, plus very close to the new Motorway bypass, golf courses and schools. Ruen Pisa village has a long list of communal facilities and benefits: 24 hour security, CCTV, Children playground, Park with Lake on 3200 sq.m land (2Rai), communal swimming pool, club house and fitness. 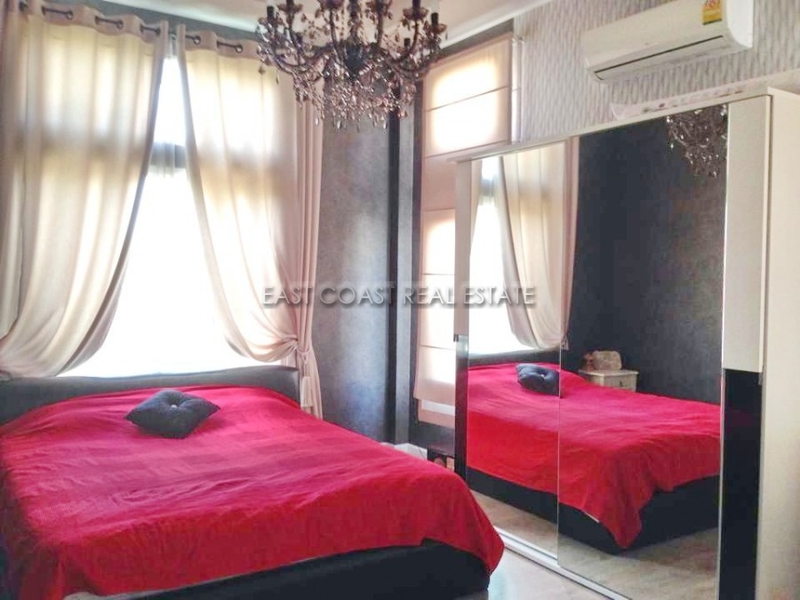 The house is large and offers 3 good sized bedrooms, a master bedroom with an en-suite bathroom, a 2nd guest bathroom and a fitted European kitchen. There has been an extension added to the rear which increases the utility space for additional storage and laundry. 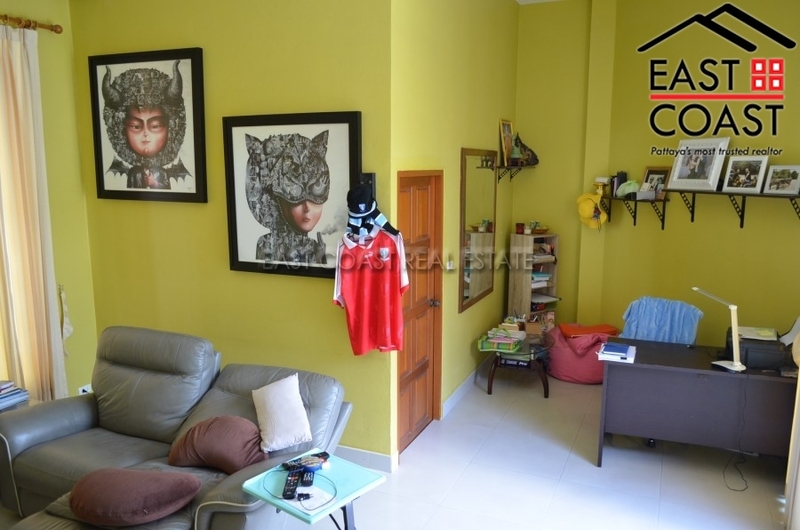 This house is rented fully furnished, on a long term (1 year) basis. A 2 month security deposit will also be required upon move-in. Pattaya Tropical Village. 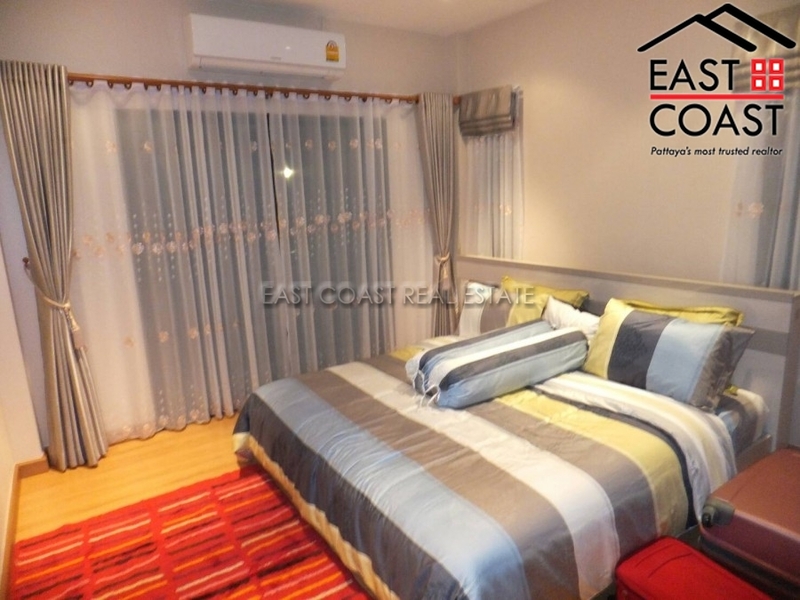 Located less than 5km from the Pattaya Beach or approximately 15 minutes’drive to down town. The village is also located in a quiet area. 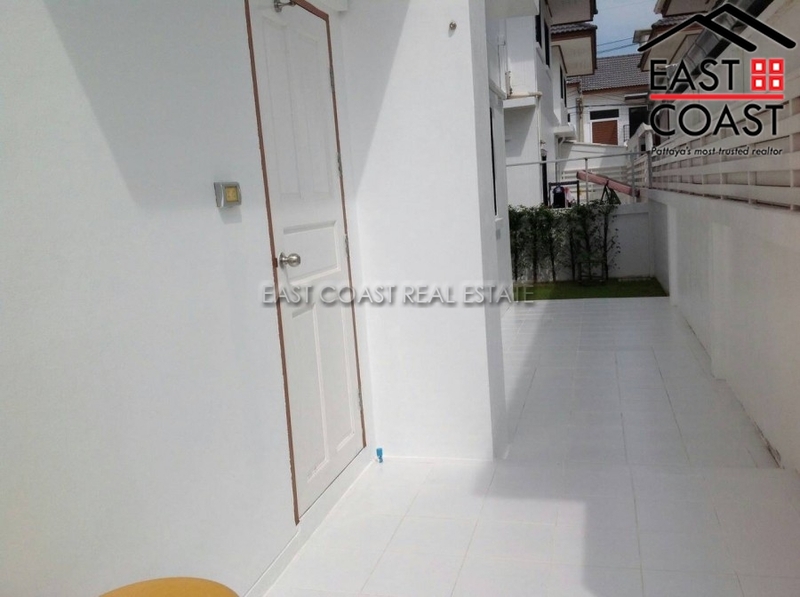 A single storey house on a 93wah² (372m²) land, with 3 bedrooms, 2 bathrooms, separated kitchen, a large living room, dining area, fully air conditioned, garden and private parking. The Village has 24 house security, a communal swimming pool and fitness. This house is also pet friendly. Title deed is in Thai name with tax and transfer to be split 50/50 Available for rent with a minimum of a year+ contract. 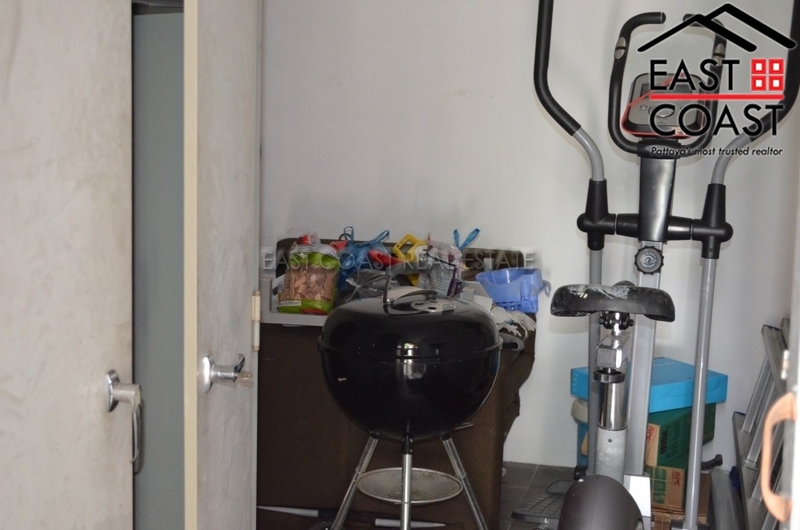 Spacious House located on Soi Chaiyapruek 2. 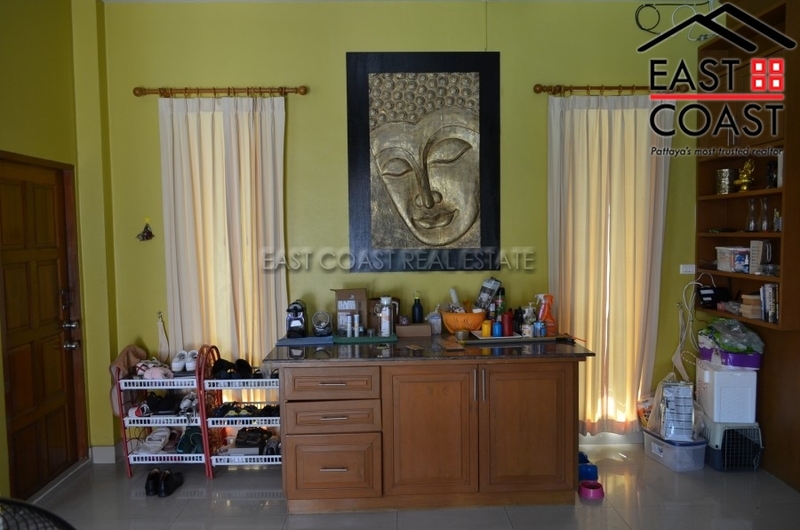 The House is located in Kittima Garden Home, has electric gate to drive way, covered car port and a front garden. To the rear of the House there is a dipping pool, spacious garden area and fish pond. The House benefits from UPVC darkened windows, spacious bedrooms, master en suite bathroom and comes fully furnished. Local restaurants, Tesco Lotus and only 10 minute drive to Jomtien Beach. 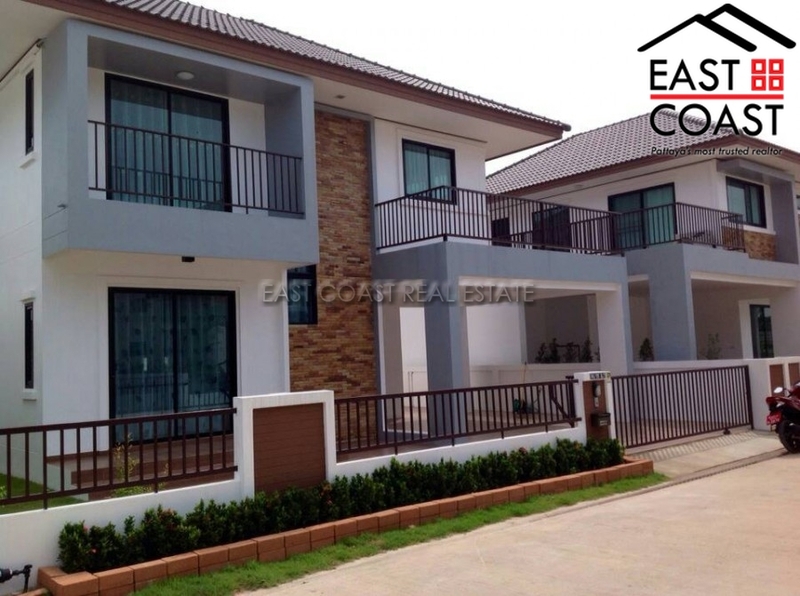 This house in a brand-new housing village in East Pattaya is now for sale fully furnished. The village is nicely presented, with a pleasant garden around the outside of each house. 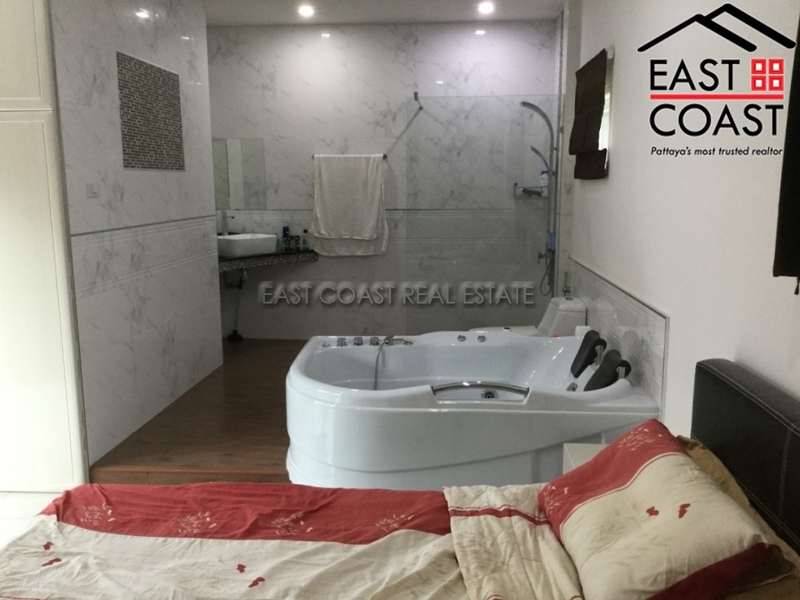 The house has 3 bedrooms and 2 bedrooms, a guest bathroom downstairs and a family bathroom upstairs with jack and Jill doors, which provide access to the hallway and to the master bedroom. The master bedroom is of an excellent size, with a balcony, and sophisticated furniture including matching bed, bed-side tables and wardrobes. Downstairs, there is a separate European kitchen, a dining area and nicely arrange lounge area with plenty storage space under the stairs. 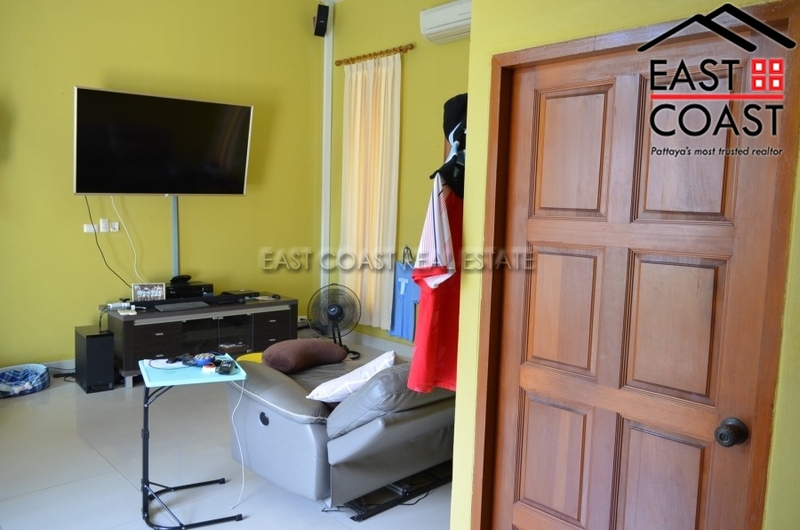 The house is fully air-conditioned, with hot-water already installed along with paid cable television. It is being sold with the title deeds held in Thai name, with the buyer responsible for tax and transfer costs. Classic Garden Home. 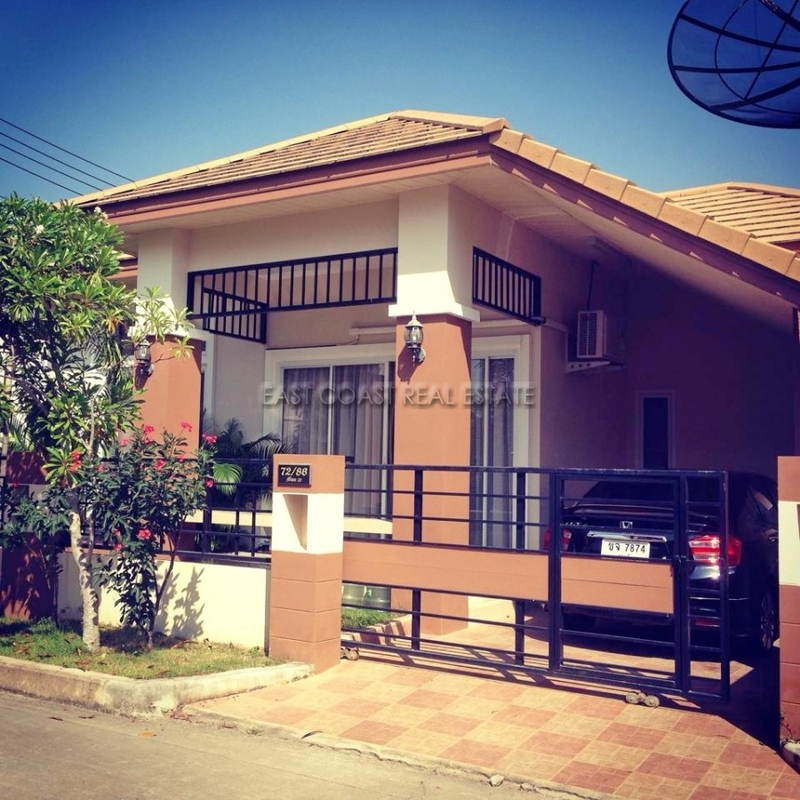 A small gated community located on the East side of Pattaya. The property is available for sale fully furnished to include many nice items (leather sofa, 3D TV, Blu-ray DVD player, 5.1 Home theatre system, Satellite TV, Washing machine, American Fridge/Freezer and much, much more!!) The area around Classic Garden Home is well developed and as such has good roads, easy access into the city, Tesco/Lotus, and fresh markets. This house has 2 bedrooms and 2 bathrooms, plus a nice Western fitted kitchen, 3 air conditioners, very tasteful decoration and plenty of outdoor space to entertain. The off road car-parking is covered. Classic Garden Home a good sized communal swimming pool, gymnasium, communal park and secure entrance to the village with 24 hour security guards. The property is owned in Thai Company name. Bright and stylish 3 bedroom and 2 bathroom bungalow, set on quiet residential village, close to the 7 motorway. 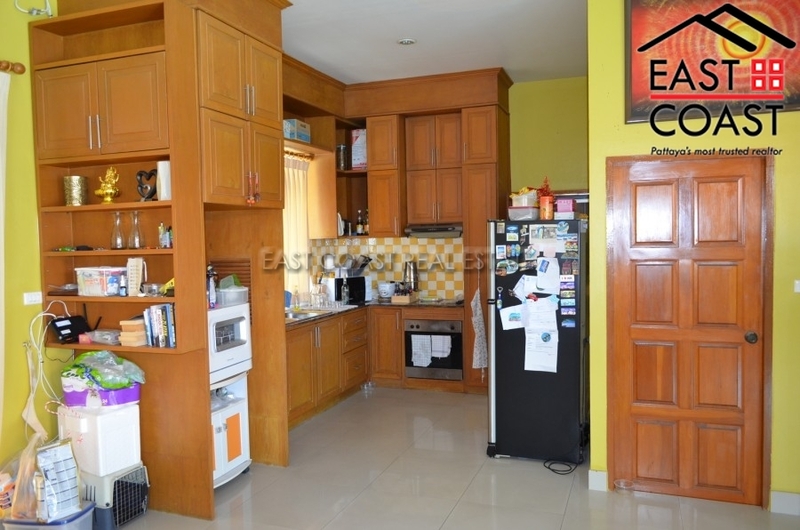 The house is well furnished, with fully fitted European kitchen, 4 air conditioning units, lounge and dining area. 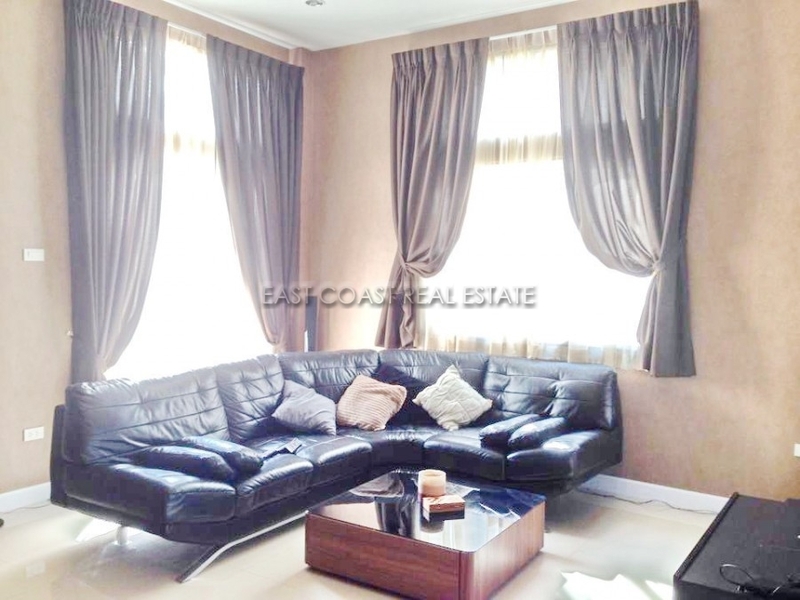 There is off road parking and a private garden on the 80sq wah (320sqm) plot. The village is very well maintained and features 24 hour security, a communal pool, fitness center, and small lake. 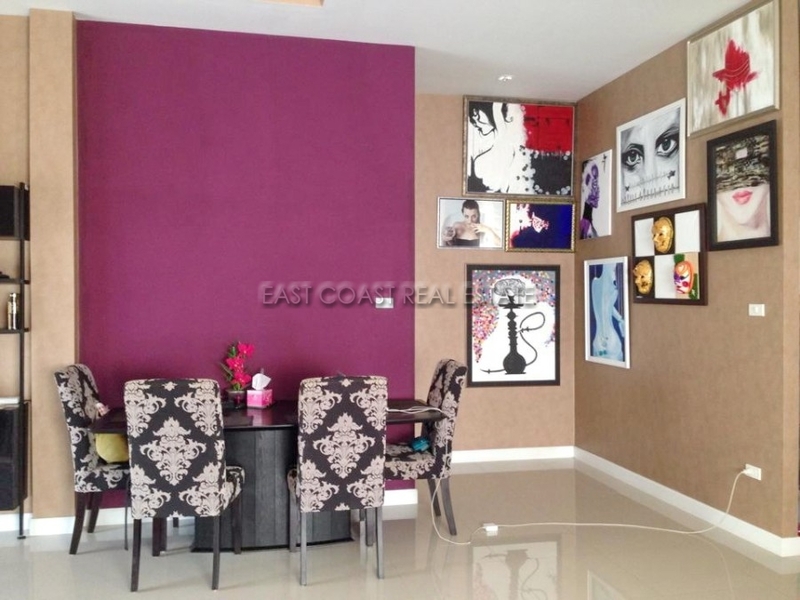 Ideally located close to the motorway on and off ramps to both Central Pattaya and Bangkok. Nearby are Thai markets, small restaurants and many convenience stores. The house is available for sale. Pong Private House. 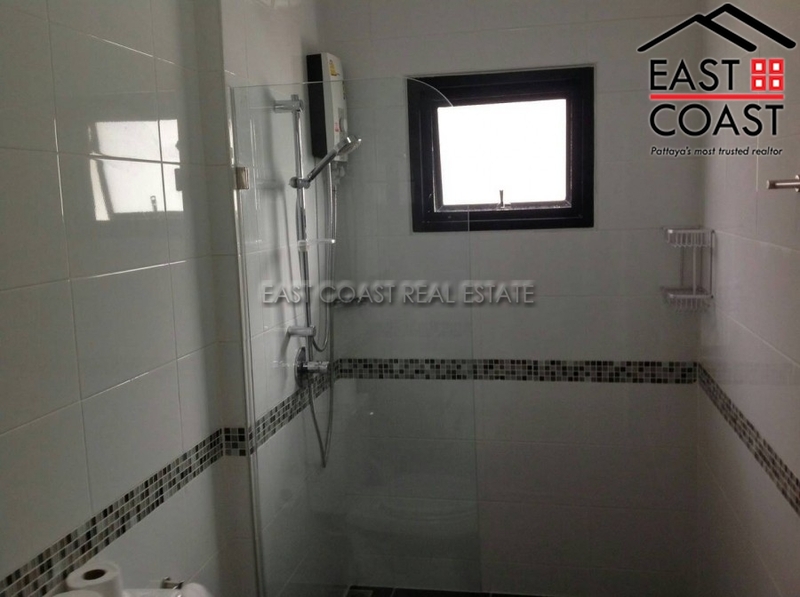 This stand alone, 2 storey property was built and complete in 2014 and easily accommodates the 4 bedroom 3 bathroom layout. The land plot is a large ½ Rai (800sq.m) and the house is a total of 210sq.m living area. 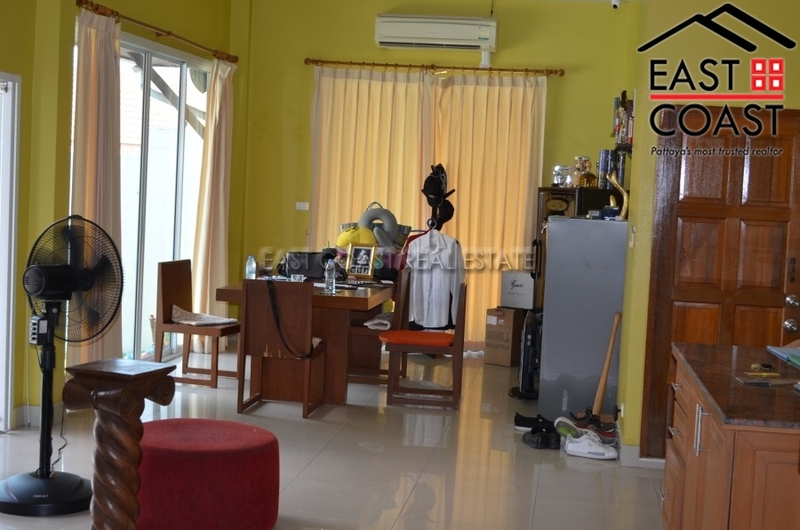 This location offers easy access to all motorways and highways, and is approximately 25 minutes to travel into downtown Pattaya. 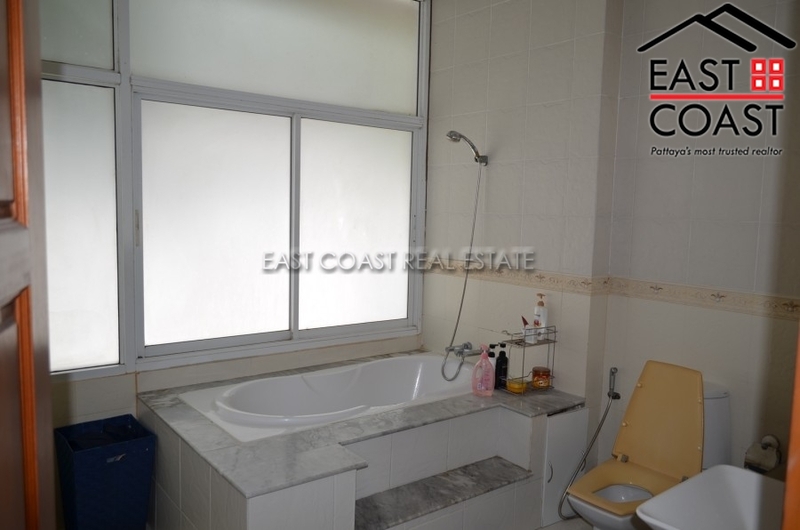 The home is fully tiled throughout, plus most of the furniture is included also. 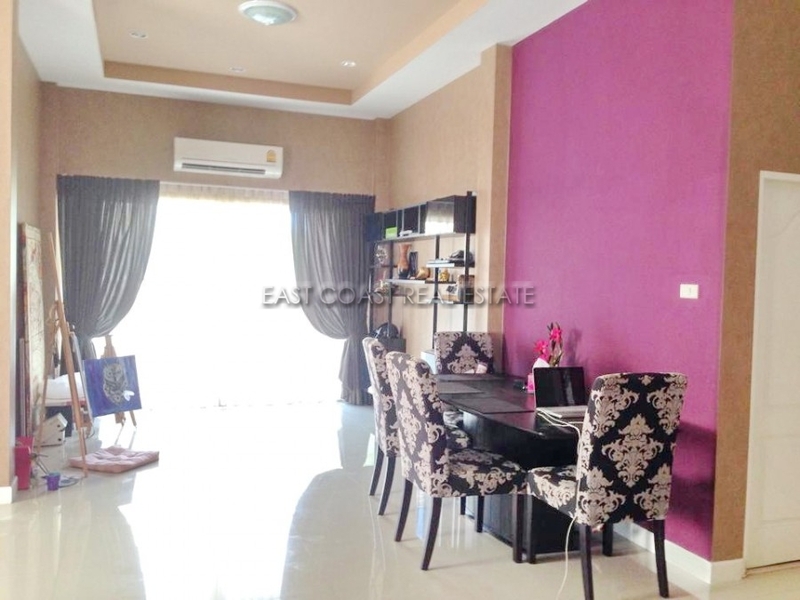 On the ground floor is an open plan living room and dining room, and 1 bedroom. with a separate kitchen area, and downstairs bathroom. Upstairs are 3 bedrooms and 2 more bathrooms. Owned in Thai Name ownership with all taxes and transfer fees split 50/50 between buyer and seller.